This weekend, riders can expect three stations to be closed and single-tracking on the Green, Blue, and Yellow lines. On the Red Line: The Judiciary Square Station will be closed. There will be free shuttle buses between Gallery Place and Union Station. Trains will operate every 10 minutes between Glenmont and Union Station and Shady Grove and Farragut North. On the Orange Line: Two stations will be closed: Court House and Clarendon. 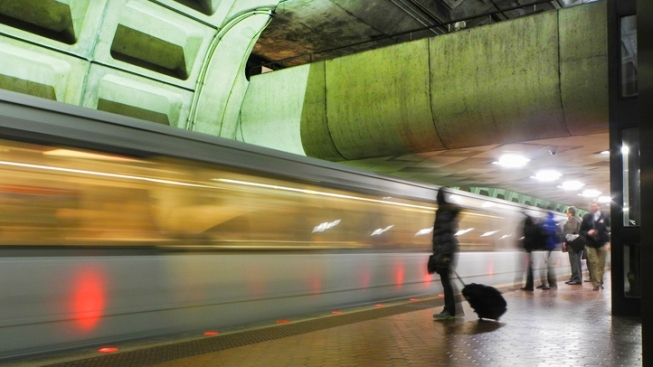 Free shuttle buses will replace Orange Line trains between Virginia Square and Rosslyn. Trains between Vienna and Virginia Square, and Rosslyn and New Carrollton will operate every 15 minutes. On the Blue and Yellow Lines: Trains will single track between Braddock Road and Pentagon City. Trains will operate every 30 minutes. On the Green Line: Trains will single track between Greenbelt and College Park. Between 7 a.m. and 9 p.m., every other train will begin/end at College Park, rather than Greenbelt.